Henry Rupert Bain made his fortune first in his own brokerage firm then as a gold investor during the depression. In 1934 he bought 100 acres of land from the Duncan family on which to build his estate. One of the features of his estate was terraced gardens with cascading waterfalls. Bain built a pump house near the river to pump water up to his estate for his gardens. There are the remains of two old buildings here. The building closer to the river is made of rough fieldtone and is likely much older than the other one. Inside, it has been divided into two rooms with modern concrete blocks. This suggests that it has been remodeled at the time the second building was added. It contains some electrical potheads made by G&W Electric in Chicago and a large oil storage drum. A roadway ran just south of the building crossing the river on a bridge until the late 1980’s. Bain’s barns and race track were on the west side of the river and accessed by this road. 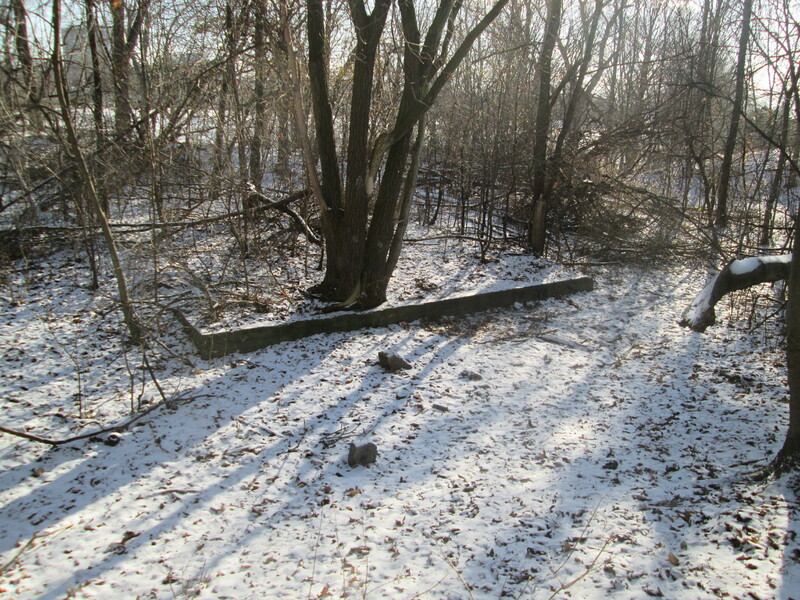 The bridge has been torn up and the concrete was just tossed in the woods near the pump house. Closer to the embankment is the pumphouse. It is made of preform concrete block in the Art Deco style that was popular in the 1930’s and 1940’s. Inside the pump house water was fed into the pipe-head at the back of the room. The flash of my camera revealed a large pipe which curves to the right about ten feet in. Alder trees grow along the riverbank just north of the Duncan Mill Road bridge. The alder is unique in that it is a cone bearing deciduous tree. The tree has it’s male and female parts on the same branches. 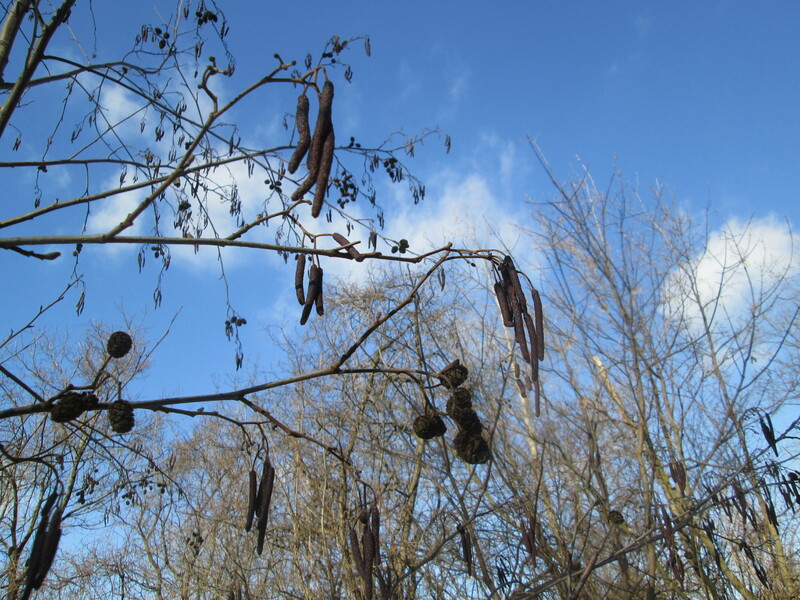 The longer male catkins produce pollen in the spring which is wind blown to the rounder more cone shaped female catkins. Like other trees that rely on the wind for pollination, the alder will flower prior to the leaves forming in the spring. I walked along the east side of the river, crossing under the Duncan Mill road bridge and the bridge on Don Mills road. 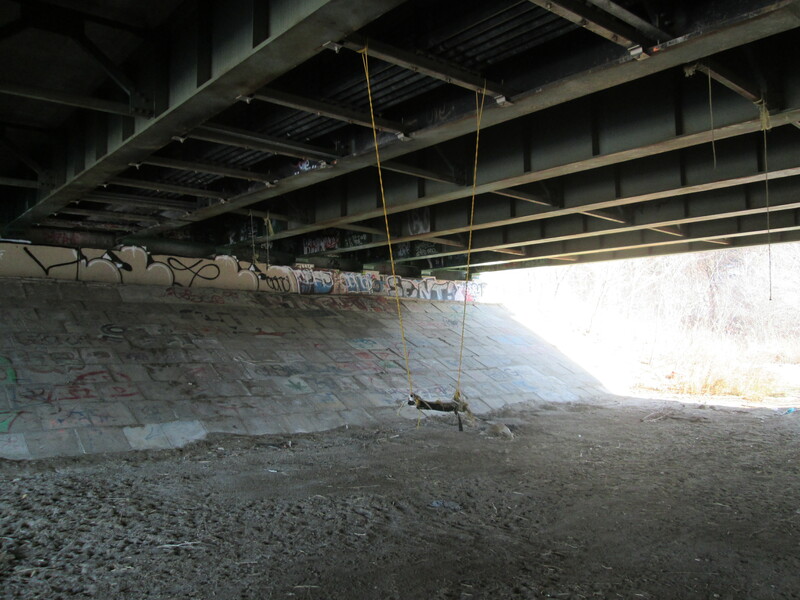 Under the Don Mills road bridge someone has crawled out and strung up a swing. Completed in 1936 Graydon Hall may have been named after the Gray family that operated a grist mill on the Don river just below the property. The grist mill remains today on the property of the Donalda Golf course. When Bain completed his estate it boasted a private 9 hole golf course, race track, stables, polo field and kennels for raising hunting dogs. The cover photo shows Henry Bain standing near his garden fountain. This fountain statue of a lady kneeling and holding a bowl is now housed at the Art Gallery of Ontario. The 29 room house was built for $250,000, a sum equal to $4,250,000 today. Notice the large front canopy that was common on estate mansions of the early 20th century. 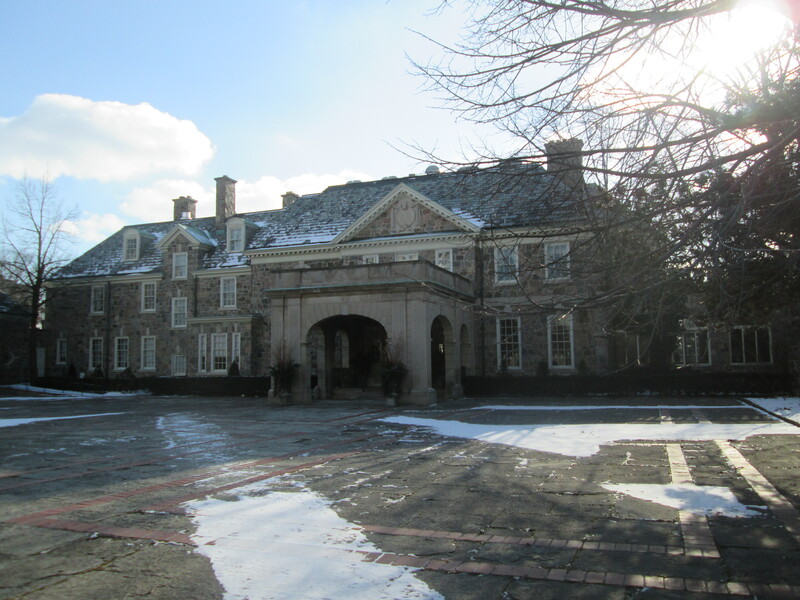 Similar structures can be seen in Bayview Estates on the three Clifford mansions that now form the Toronto French School. Much of the rear ground of the property is still preserved as parkland in the form of Graydon Hall Park. A small rectangle of concrete which stands in a hollow slightly uphill from the house is all that remains of a small building. 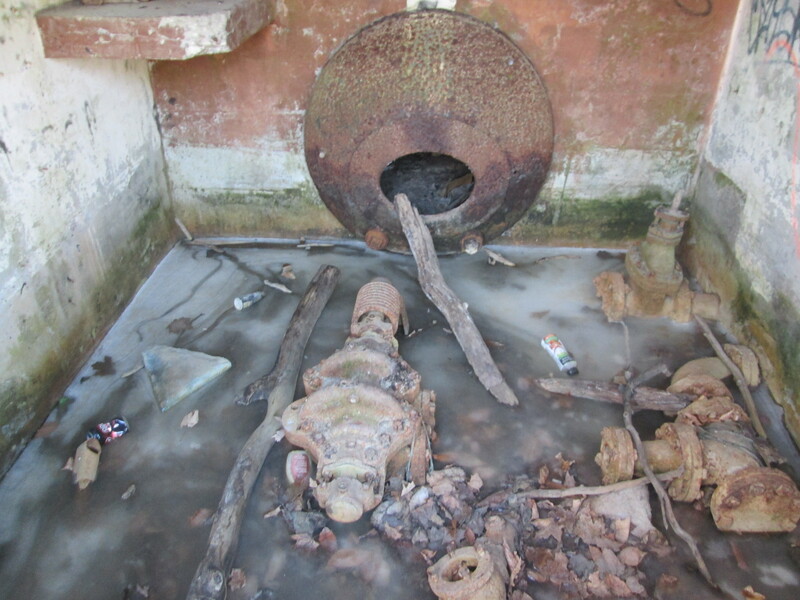 This may have been the upper end of the pumping system. The terraced gardens remain along the back of the house. Between the gardens and the river stretched four acres of pools and waterfalls as the water made it’s way back downhill. 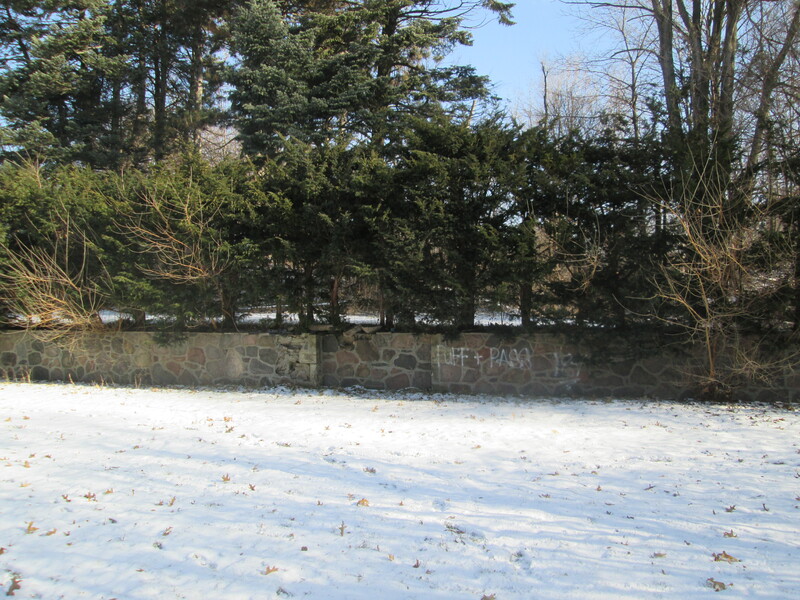 On the east side of Graydon Hall road stands a pair of gate pillars that mark the old laneway to Graydon Hall. Prior to the construction of Graydon Hall Drive in 1964 the estate was approached by a looping driveway off of Woodbine Avenue. This portion of Woodbine was removed in the 1960’s for construction of the Don Valley Parkway. A new access was created off of the recently extended Don Mills Road. 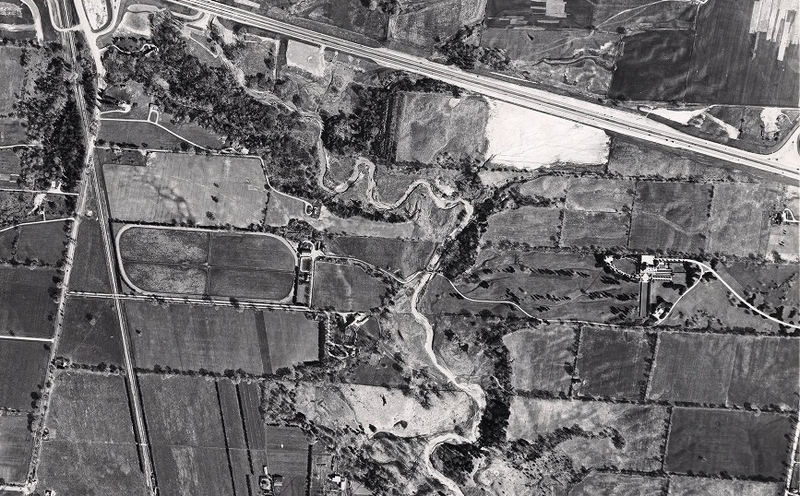 In the 1957 aerial photo below the property of Henry Rupert Bail is seen. The 401 cuts across the top of the picture. Graydon Hall stands roughly in the middle of the picture on the right hand side. A private roadway leads from the house, past the small building and down the lawn to the river. The road crosses the river near the pump house and reaches the barns and racetrack. Don Mills Road has not yet been extended this far north yet but it will soon cut between Graydon Hall and the river. In 1954 Bain died of complications from a horse riding accident. His property was sold in 1964 to developers who constructed apartment buildings on the estate. The house remains and now serves as a banquet hall. 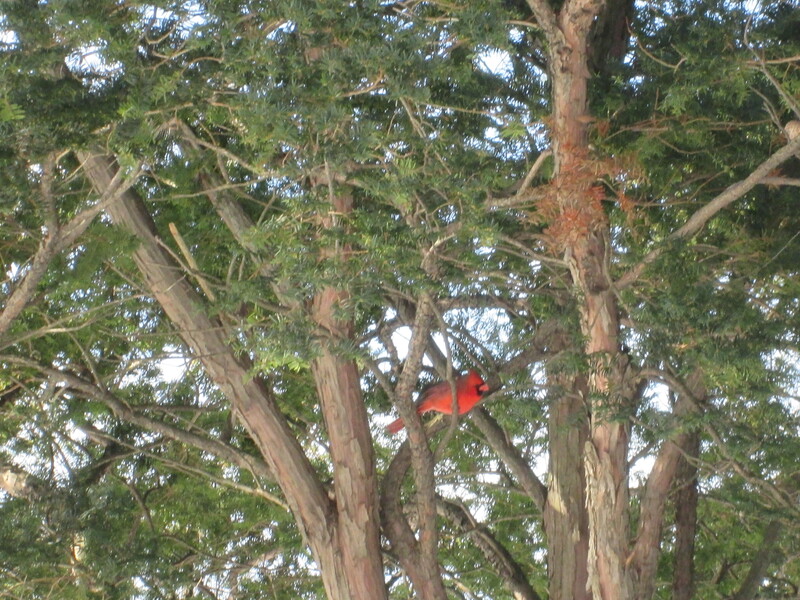 A cardinal provides a little splash of red among the evergreens along the old lane way as I made my way back to the car. 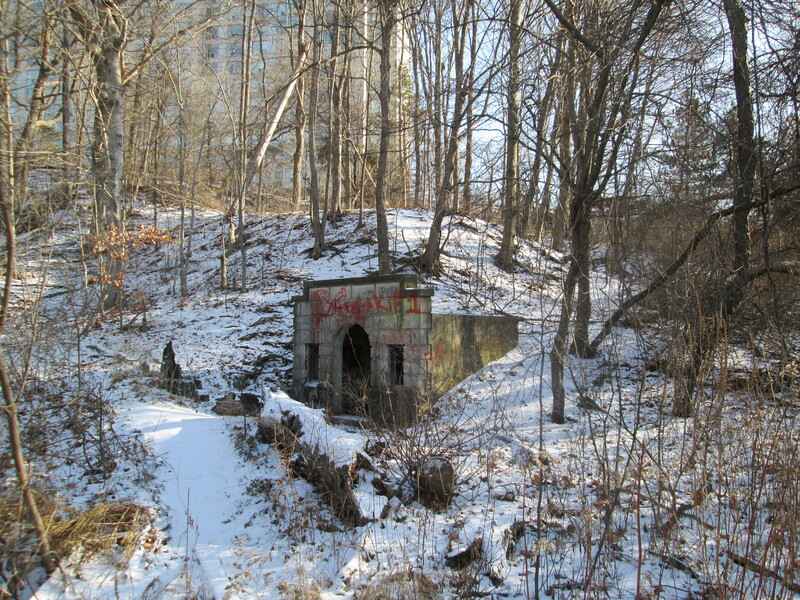 This entry was posted in Don River on January 12, 2015 by hikingthegta. The two building at the start of the post. Where along the river are they located exactly? They are on the east side of the river, just north of Duncan Mills Road and just west of Don Mills Road. I am glad that they kept this beautiful building as so many from the past get destroyed.